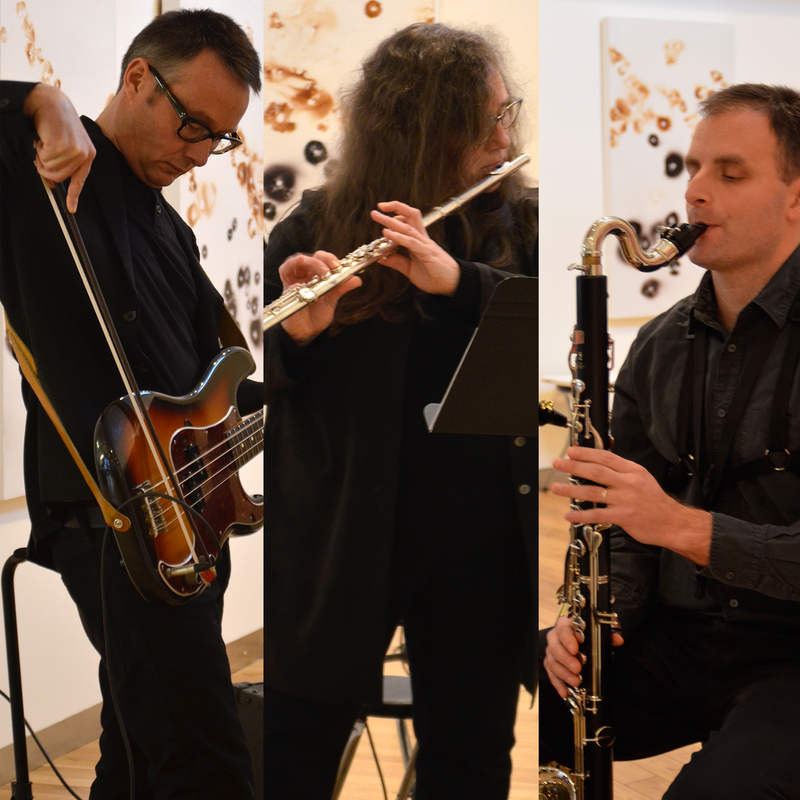 LaSaM’s Experimental Music Unit – Tina Pearson (flute, voice); George Tzanetakis (bass clarinet), Paul Walde (bass guitar), Kirk McNally (live electronic processing) present the Music for Mycologists CD release concert. American composer John Cage, an avid mycologist, often quipped that music and mushrooms have nothing to do with one another except for the fact that they appear next to each other in the dictionary. 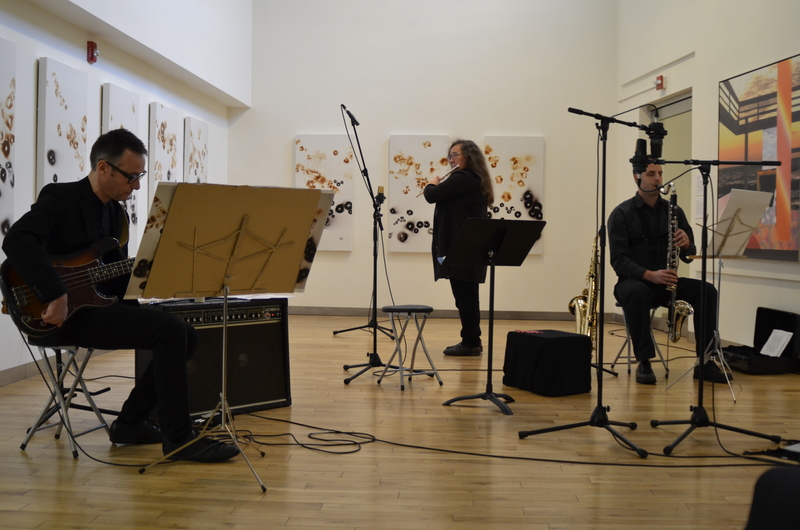 Experimental Music Unit (EMU) puts the veracity of this statement to the test with Music for Mycologists, a collection of musical works by Victoria composers Paul Walde and Tina Pearson, Czech composer Vaclav Halek and the EMU trio. 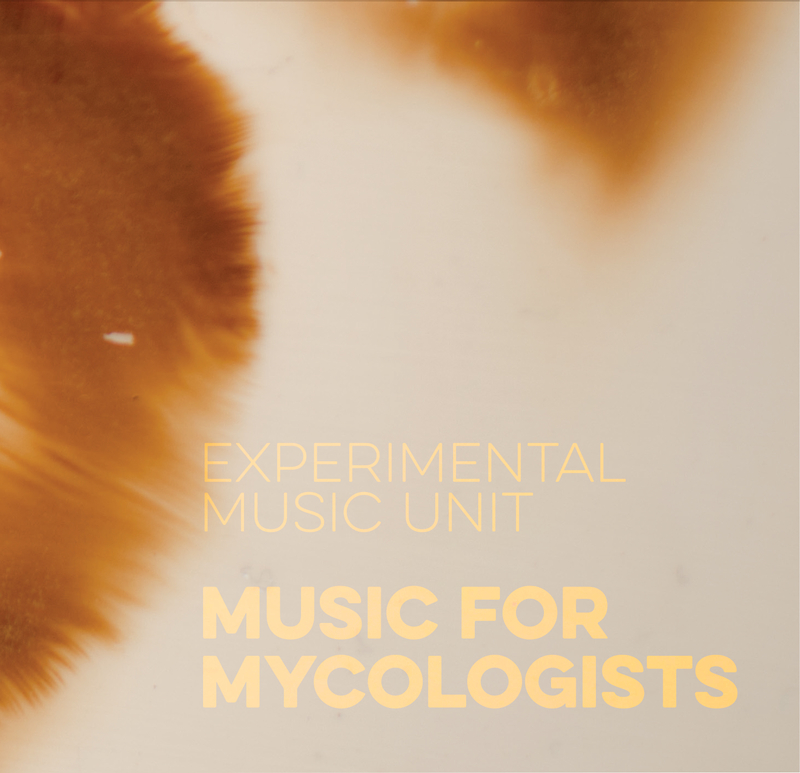 Music for Mycologists explores relationships between music making and mushroom hunting, exposing the sometimes fragile process of discovering sounds of rare and raw beauty that exist just beyond perception. The Experimental Music Unit is the core ensemble of LaSaM Music, a Victoria organization has been producing creatively adventurous music events in Victoria since 2008. LaSaM is known for its original themed projects inspired by relationships between the natural world, sound and music; the provocative ideas of music practitioners who work outside the margins; and the act of listening itself. Previous major projects include Dark Listening (2014), Music for Natural History (2012), In a Large Open Space (2011), “And Beethoven Heard Nothing” (2010), and Removing the Demon (2009) among others. Music for Mycologists features Paul Walde’s Interdeterminancy (for John Cage), the musical realization of a set of eight large mushroom spore printed panels designed as a graphic notation and Tina Pearson’s Hunt (3) Chanterelles, a set of sonic textures that reflect the sensations, sounds, colours, smells and attention states inspired by her mother’s memories of lifelong mushroom hunting. Balancing the program are three short compositions by the late Czech composer Vaclav Halek from his collection of short melodies transcribed from sounds he heard directly from mushroom species near his home, and Mycelium Running a sonic enactment of the life cycle of a single mushroom, from mycelium through spore. Referenced in Hunt (3) is John Cage’s 4’33”, through a mix of field recordings of five outdoor performances of this iconic work. The CD release concert includes live electronic processing by audio artist Kirk McNally. In EMU’s soundworld for Music for Mycologists, intentional microscopic attention is paid to typically peripheral instrument and body sounds, such as the nuances of breath, pre-tone whispers and whistles, the tap of instrument keys, the sound of a bow slowly crunching, and the charged pause of acute listening. The Music for Mycologists CD Release celebration will include mushroom-themed refreshments, artist-signed CDs available for purchase, and informal discussion with the artists. 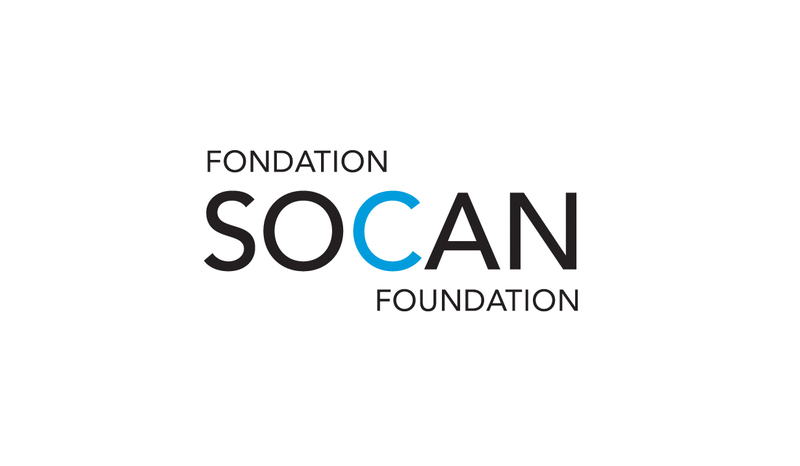 The Music for Mycologists CD Release concert was made possible through the financial support of the SOCAN Foundation. TINA PEARSON is a composer, performer, and facilitator. Her compositions often dwell in realms of eco-mimicry, altered tunings and spectral-temporal investigations and usually incorporate a focus on breath, attention states and/or stretched modes of performance practice. As a member of the global collective Avatar Orchestra Metaverse, Pearson works frequently in networked 3D audiovisual platforms. Recent presentations include PwRHm with Helicopter (NetNewMusic Festival, Birmingham, UK), Between Five and Six (Mobius, Cambridge), Measure for a Mayfly (Electric Eclectics Festival), Breathing with PwRHm (EMPAC, Troy, New York), In This Far Now (Newfoundland Sound Symposium), Gentle Hands (Cluster New Music Festival, Winnipeg), Rotating Brains / Beating Heart (Digital Resources for the Humanities and the Arts Conference, Brunel, UK) Migration of Their Materials (Innovations en Concert, Montreal). Pearson was editor of the Canadian periodical Musicworks, initiating its audio component. She taught at OCAD University’s Experimental Department, and is a frequent guest lecturer, jurist and workshop leader. Pearson resides in Victoria, BC, where she founded LaSaM in 2007. GEORGE TZANETAKIS studied classical saxophone in Greece, and while pursuing his PhD in Computer Science at Princeton University. He was a Post Doctoral Fellow at Carnegie Mellon University, visiting faculty at Google research and associate editor of the Computer Music Journal. He is currently an associate professor in the department of computer science with cross-listed appointments in Electrical and Computer Engineering and Music at the University of Victoria, Canada. Tzanetakis holds a Canada Research Chair in the computer analysis of audio and music and was awarded the Craigdaroch Award for Excellence in Artistic Expression. His interdisciplinary activities combine ideas from signal processing, perception, machine learning, sensors, actuators and human-computer interaction. As a musician Tzanetakis plays in classical, jazz, folk and experimental music settings, and has been a core member of the LaSaM ensemble since 2009. He has participated in the ritual yearly wilderness performance of And Wolf Shall Inherit the Moon by R. Murray Schafer since 2001. In 2012 he composed and performed a piece for the installation CanonX+4:33=100 by Trimpin at Open Space in Victoria. PAUL WALDE is an intermedia artist, composer, and curator. Walde’s body of work suggests unexpected interconnections between landscape, identity, and technology. Recent exhibitions of his work include: Sonorous Kingdom at the Surrey Art Gallery (2014), All Together Now at the University of Toronto Art Centre (2014), and Nature’s Handmade at Museum London (2015). In 2013, he completed Requiem for a Glacier, his renowned site-specific sound performance featuring a fifty-five-piece choir and orchestra live on the Farnham Glacier in the Purcell Mountains. 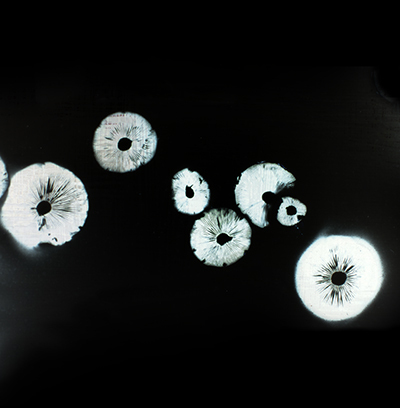 Requiem for a Glacier was subsequently developed into a multichannel sound and video installation which has been the basis of solo exhibitions at L’ Université Laval Art Gallery in Quebec City, QC; Art Gallery at Evergreen, Coquitlam, BC; Oxygen Art Centre in Nelson, BC, (2014) and The Langham Cultural Centre in Kaslo, BC (2013). Walde is a founding member of Audio Lodge, a Canadian sound art collective and has been a member of LaSaM since 2012. KIRK McNALLY, Audio-Specialist/Recording Engineer at the University of Victoria, studied saxophone and sound recording at McGill University. As a recording engineer he has worked with artists such as R.E.M, Bryan Adams, Sloan, Matthew Good, the Boston Symphony Orchestra, the National Youth Orchestra of Canada and the Aventa Ensemble, among others. As a collaborator in experimental and new music, McNally is a member of the live electronics trio, The Krells and is a founding member of the LaSam ensemble. His release And the Daily Life (Pansporia) is a collaboration with composer/musician Jeff Morton that included experimentation with the modified resonant chambers in a hyper-clarinet. McNally has also performed with the Experimentalstudio des SWR, Ensemble SurPlus, Aventa Ensemble, Tsilumos Ensemble, and produced concerts with the composer Dániel Péter Biró for Vancouver New Music (Vancouver), New Music Concerts (Toronto), Harvard University Fromm Concert Series (Cambridge, USA) and the Hateiva Studio (Yafo, Israel).